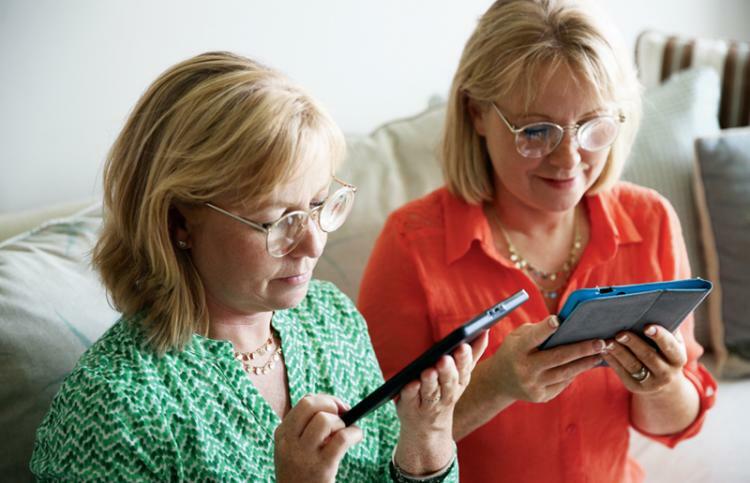 An eye specialist diagnosed Karen and Sharon with juvenile macular degeneration and said "There’s not much to be done." Our mom was heartbroken. 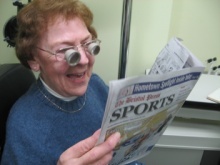 Years later, mom read an article about an IALVS (International Academy of Low Vision Specialists) doctor who designed special glasses that helped people with macular degeneration. "More curious than skeptical, we went. And it changed everything! For the first time in thirty years we could read! We can see God’s big beautiful world as clearly as ever." Mrs. Graves is a 93-year-old who had one of the first telescopic implants in the country inserted into her left eye several years ago. 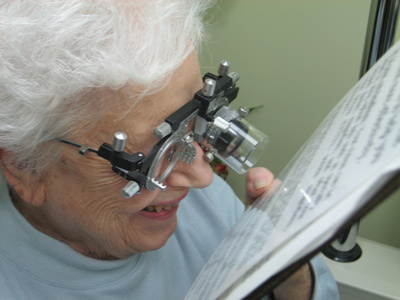 Even with this medical breakthrough she still requires special reading glasses. The first picture shows Dr. Kinkade’s prototype test design and the second picture shows the final reading telescope. Mrs. Graves is so pleased she was able to email these photographs to relatives in Italy. Mrs. Rogers has reduced vision due to a rare drug toxicity. She had been told by the Yale Eye Center and the Mayo Clinic that nothing could be done to make her see any better. She now wears three different pairs of glasses prescribed by Dr. Kinkade depending on her visual needs (i.e., reading the menu or going to a show). 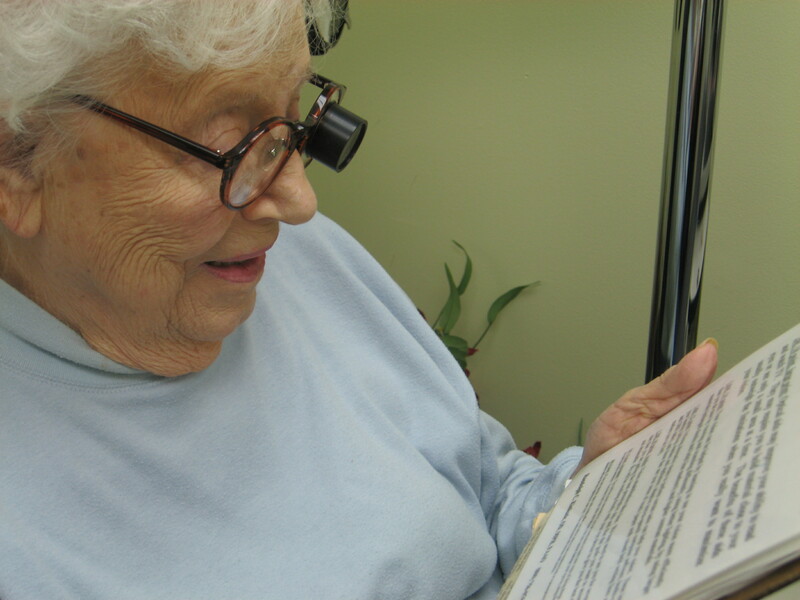 Mrs. Rogers was so pleased she referred her 92-year-old mother who suffers from advanced macular degeneration. 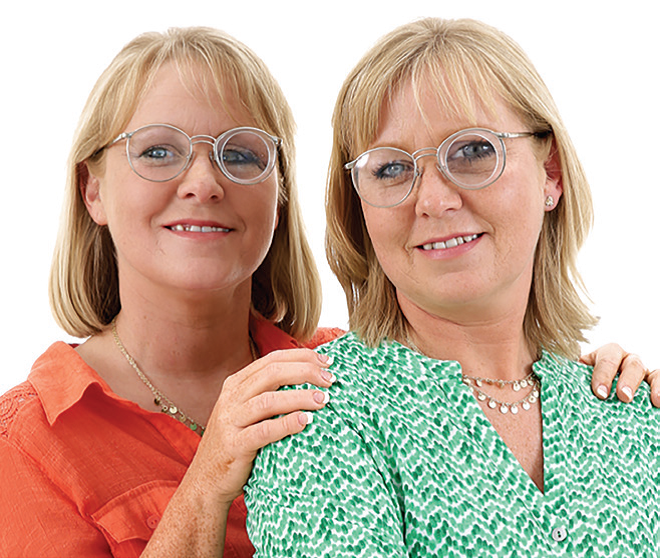 Her mother was prescribed a pair of telescopic glasses. Mr. Gallullo, a 79-year-old who is significantly visually impaired due to macular degeneration, diabetes and a stroke. Mr. Gallullo also has glaucoma and has had a cornea transplant. 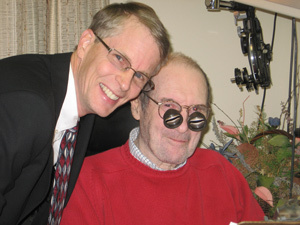 He has not been able to read for 6 months prior to seeing Dr. Kinkade. His family was in tears in the examination room when he was once again able to read the newspaper. Mr Gallullo said “I did not expect miracles, but this is the next best thing”.